Mobile Welding, Custom Ornamental Work and More! If you are in need of custom metal working or welding, Avesta Custom Metal Design can help. 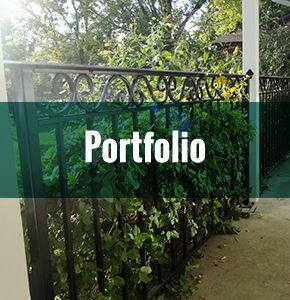 We can create personalized fencing that can add decoration and protection to your property. We can even galvanize the fencing, protecting it from the elements and lengthening its lifespan. We also have the tools and skills to create gates for your fence that are built to withstand heavy use. 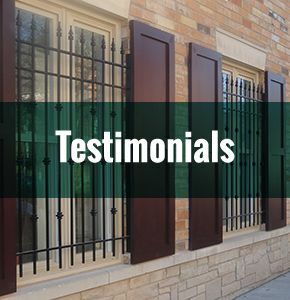 And if you are looking to close off a porch or add railing to a stairway, we can create something simple or something decorative, and we have the ability to apply the same galvanizing process to these pieces as well. Maybe you are looking for something a little more unique? We can consult with you about your ideas, and design a piece that meets your needs. Whether it is something artistic or something more functional, we can design and create it according to your specifications. If you have existing metal on your property or heavy machinery that can not be moved, we have a mobile welding crew that can come to your location and help with any of your welding needs. We can travel throughout the Greater Toronto Area. 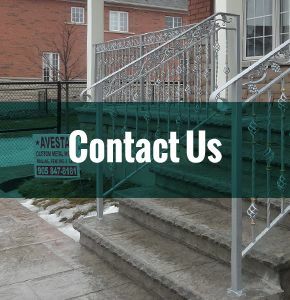 So if you are looking for a professional metal working and welding service, contact Avesta Custom Metal Design for your free estimate.